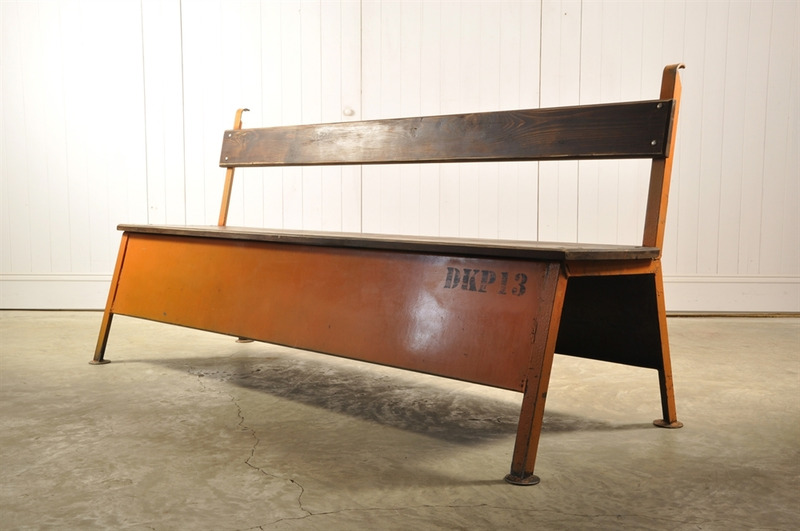 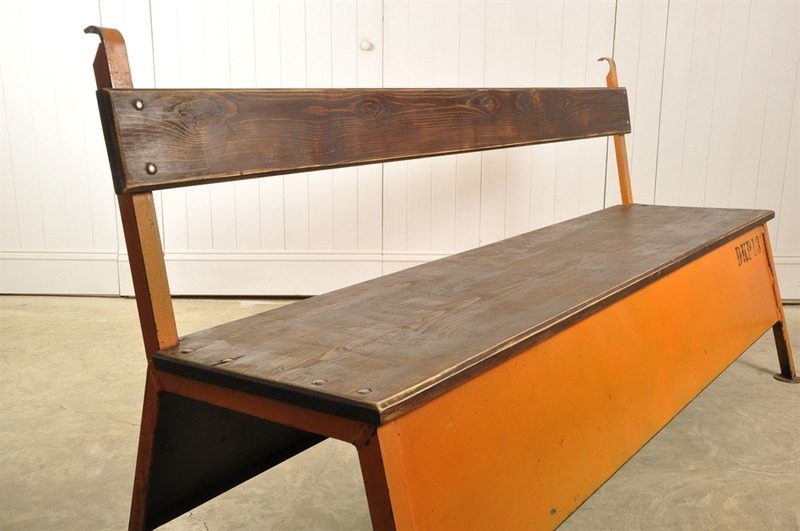 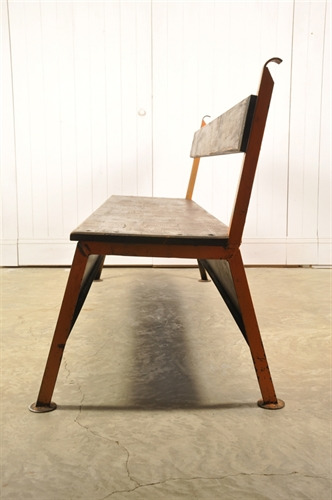 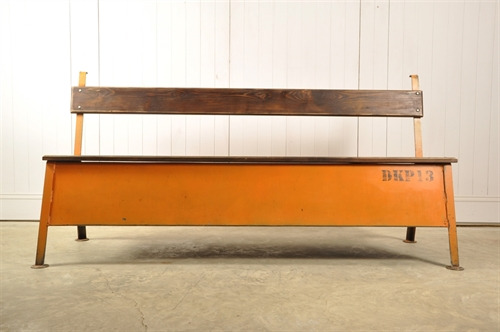 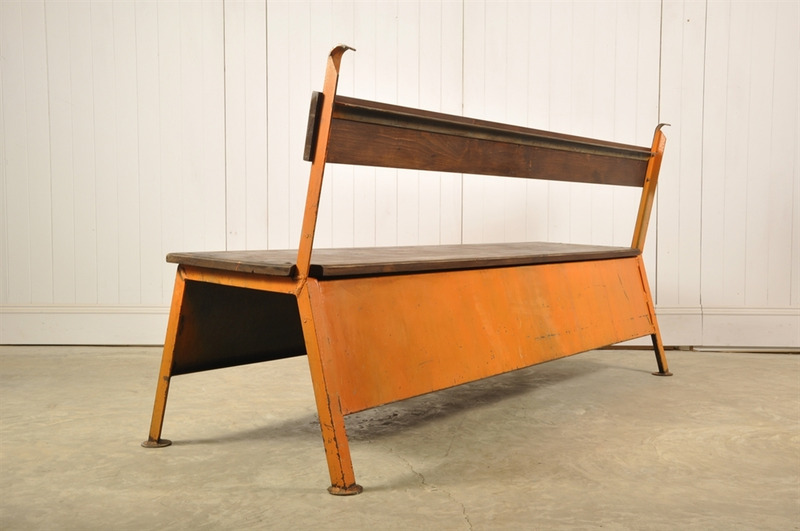 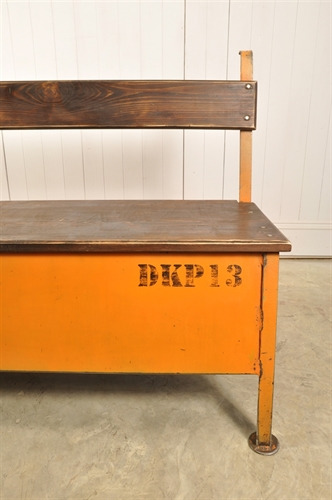 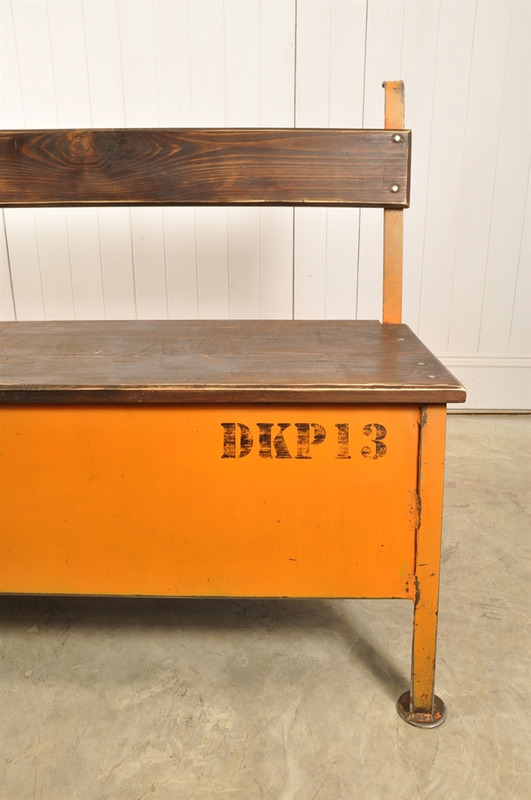 Vintage Factory Bench - Original House – Decorative Antiques, Vintage Industrial Furniture and Lighting, Cotswolds. 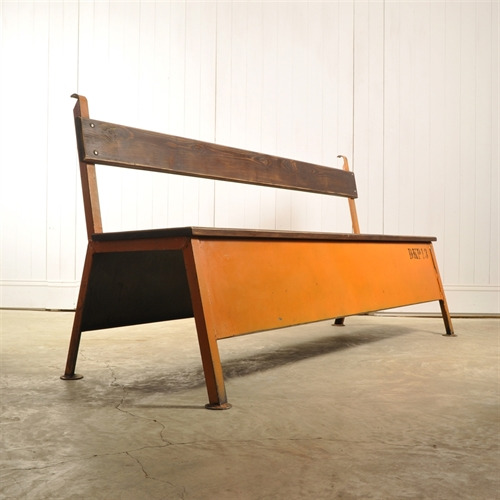 Circa 1950 / 60's this funky bench was sourced from a factory in Poland. The wooden seat and back have been replaced and stained. 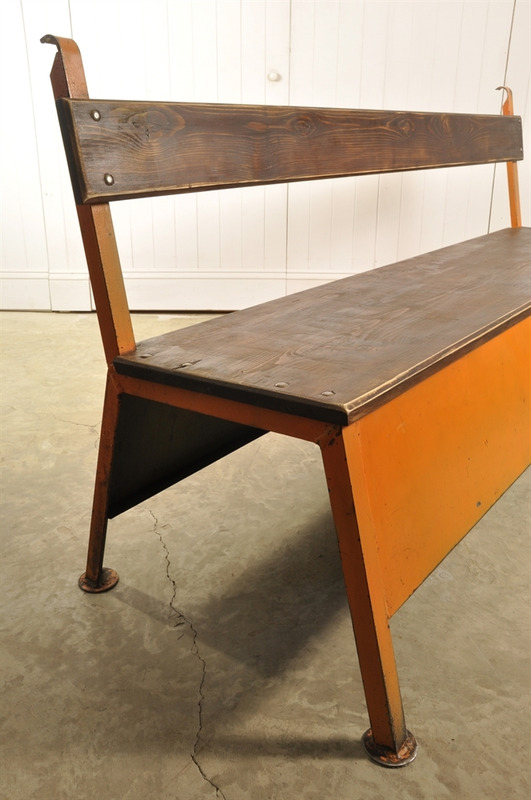 The painted steel frame is all original, having being given a good clean, a few bumps and scrapes here and there. Structurally very sturdy and surprisingly heavy. 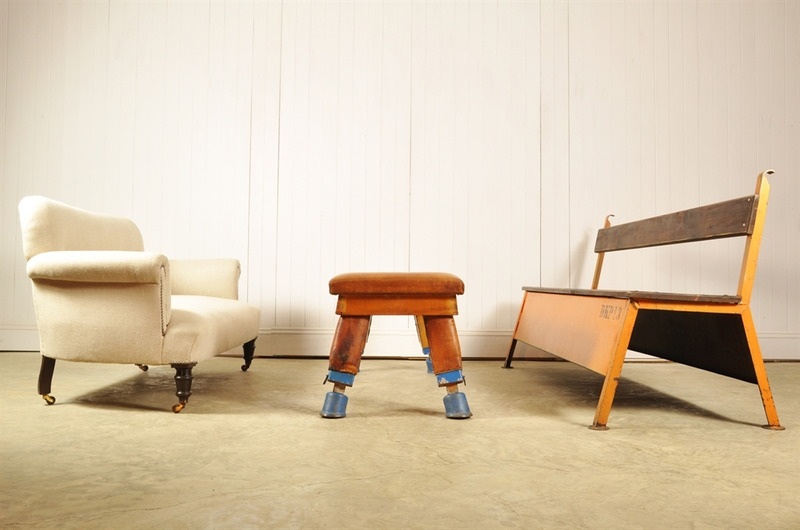 89 cm h ( 46 h to seat ) 180 l x 60 d.